Himalaya Herbals is a range of natural, effective and safe products that use special herbs carefully selected from nature. Combining the best of Ayurveda with years of scientific research, this product cools and nourishes your eyes. It is hypoallergenic, no harmful chemicals, dermatologically tested, store in a cool and dry place. Almond oil, castor oil, camphor, Damask Rose, Triphala. It comes in a twist up plastic packaging with a good strong lid. In olden days you may have got irritated by sharpening your kajal and there will be a lot of wastage too. But, Himalaya Herbals gives a user an travel friendly kajal stick which is easy to use and carry along with you. 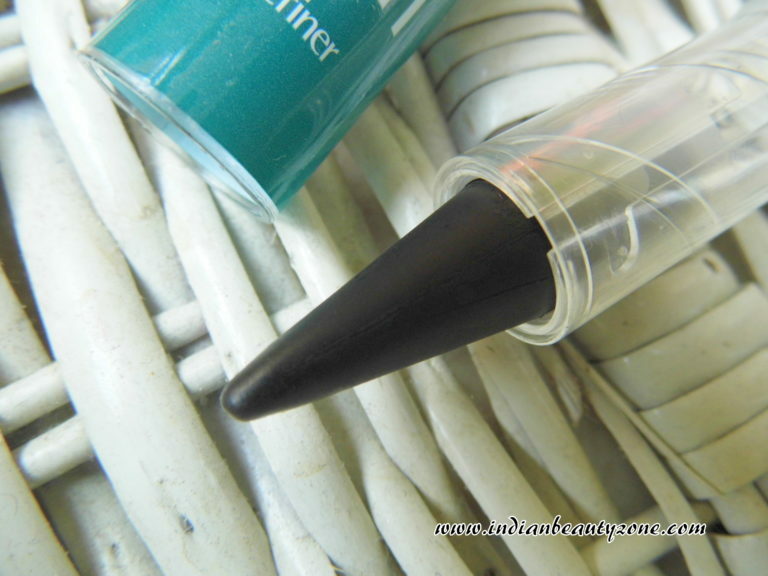 The texture is creamy and smooth which is easily spreads on the water line of eyes. If you are familiar with homemade kajal (I am so much familiar to this, hence my grandma use to prepare it for us) you can find the same herbal smell with this kajal too. Regarding pigmentation it gives enough pigmentation like a good black kajal to make the eyes looks beautiul within few swipes. 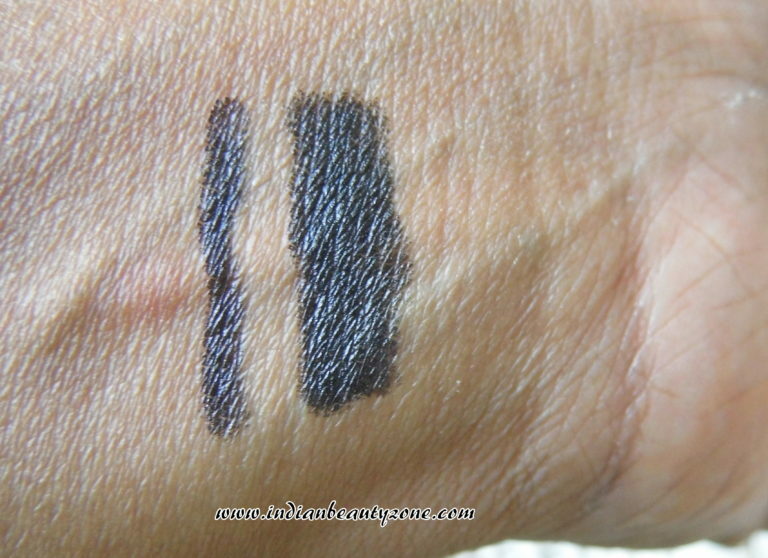 You can easily achieve the black line in your eyes with in few swipes and the pigmentation gives a bright black note to your eyes. Himalaya Herbals Kajal is one of my favorite kajal and also it is my first ever favorite kajal which I am using from my school days now and then, as I always have one in my makeup vanity. I never miss to apply kajal and lip balm when I go out or stay inside. They are my default makeup items with my daily moisturizer. 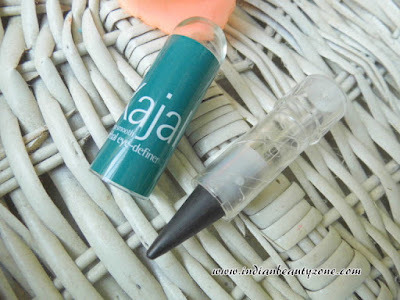 This kajal stays up to middle of the afternoon if I applied in the morning time, it means it stays more than 5 hours. Later it slowly fades inside the water line of the eyes and leaves a light black hue to your eyes which also looks pretty. it never irritate my eyes and I found swiping this kajal stick on my eyes is easy and comfortable. it never hurts and instantly gives a intense black line. 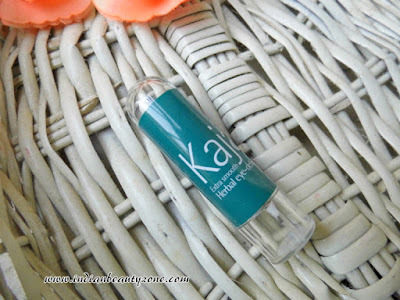 One kajal stick may comes for almost a year eventhough you are a regular user of this kajal. The small 1 gm size kajal is so cute and very helpful when you travel with your makeup kit. The herbal aroma is so pleasing and good. The main thing it doesn't bleed out of the eyes badly and it is smudge proof kajal. I am totally loving this kajal. It is user and travel friendly. Easy to use twist up packaging. Small size is also available. Does not irritate or hurt your eyes. Gives intense black colour to the eyes. Goodness of Almond oil with other herbs. 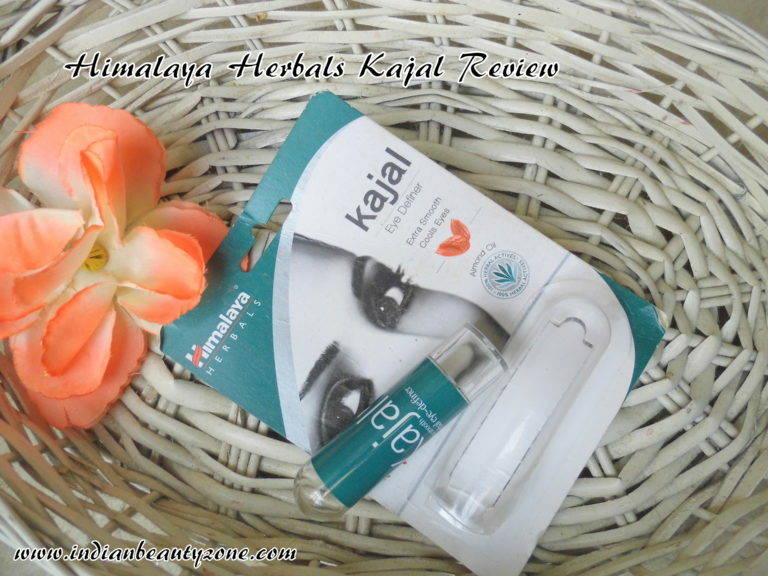 Himalaya Herbals Kajal with Almond Oil is a good kajal for all women who loves to wear kajal and it is herbal based product that is safe on your eyes. 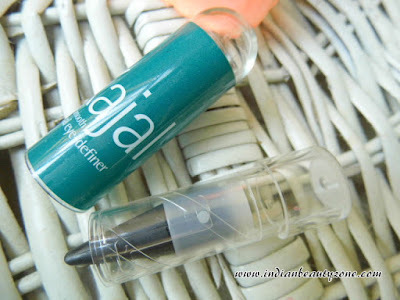 Every girl must have one of this kajal with them as it is affordable too.